I represent a company called Suffocation Gaskets, which designs custom, solid gaskets for grills. Our current selection is limited to the CharGriller Akorn kamado, but we are looking to expand our operation to serve the grilling community at-large. This post is meant to serve as an introduction (Hello, we exist. ), as well as to find out if there is a market for a better gasket. Because we are developing the product at your request (should you be interested), we can make it to your specifications. Are you tired of hassling with those fabric gasket kits that you have to hold or tape in place as the glue dries? Our research indicates that you are, as that's the most lamented complaint here and on other forums. 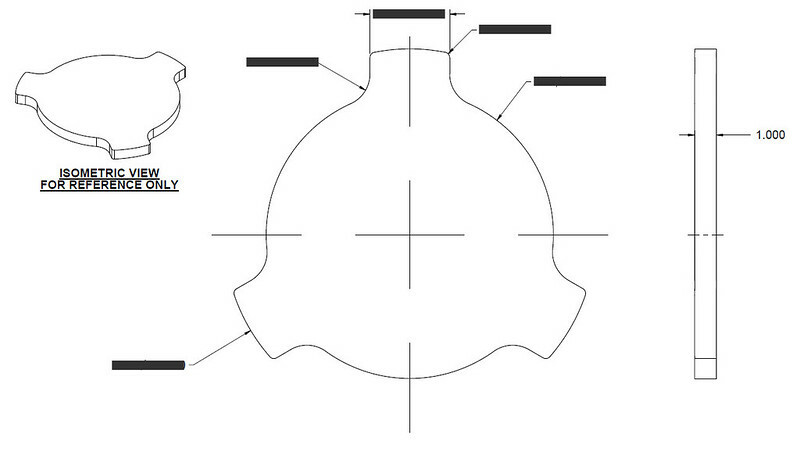 We make solid gaskets, 3D modeled, flash, LASER, or waterjet cut, test fitted and proven. Our Akorn gaskets are stainless steel sheet, sandwiching a layer of carbon. You apply a thin bead of PermaTex copper (included), and drop the gaskets into place. Close the lid and let it set. Done. As stated, we are looking to develop a product for the rest of the grilling community, so it can be made to the community's specifications. Want something specific? Need gaskets for other parts, aside from the main body flange? Let's talk about it. So, what do you think? And would you be willing to pay for them? Interested!! Thanks for taking the time to come find us! For the sake of volume I hope that you are paying close attention to the Green Egg segment of the market as well. Lava Lock is a really good gasket. What makes your product better? I apologize for the delayed response. The forum doesn't send emails by default when someone responds. That's been fixed. Thanks for the interest and replies, folks. k.a.m., Beyond what I've specified in the opening post, I don't believe there is more detail I could provide that can convince you. As stated, this is a solid gasket. It's a drop-in replacement, rather than fiddling with fabric gasket and their adhesives. They are designed with tight tolerances, so you get a consistent fit. Damon54, I appreciate your enthusiasm. We would definitely like to cater to the entire market. Yes, the BGE is the most commonly mentioned kamado, but now that CharGriller is selling their Akorn at Walmart, and there are numerous others selling at Home Depot, I believe the market is expanding in all directions. It would seem that the folks who buy from the other guys just don't know what accessories are available yet. We're here to change that. What kind of grill are you using today, and what kind of gaskets do you have on it? Any complaints? I'll share this information with the company. I'll also share a couple of images of our offerings in the next post. I'd be interested in your gaskets for the Akorn. Factory Akorn gaskets aren't too bad, but I added some Nomex gaskets a few years ago in addition to the factory ones and it tightened it up tremendously. The Nomex ones were actually pretty easy with the sticky backing to put on but over time they are starting to " lift " at the seam " so I'll be changing them soon. As someone that has a small business, I'd like to consider your type since it's directly made for the Akorn. Good luck and I'll be in touch. Let's see if this works. 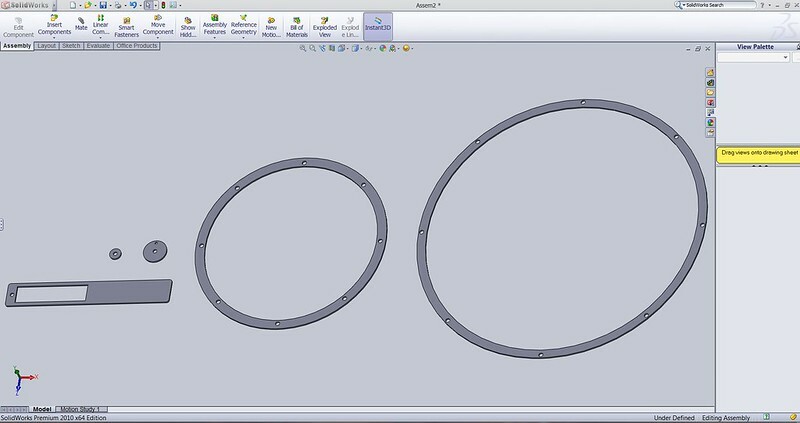 This image is a screenshot of the 3D models for all of the Akorn gaskets at once. That would be the main gasket (two should be used, one on top, one on bottom), the ask pan gasket, the thermometer probe gasket, the damper gasket, and a discontinued gasket for the top vent. We also make a solid steel heat diffuser for the Akorn. This beast is a full INCH THICK of solid carbon steel, pre-seasoned. We have a lighter model as well, at half an inch. If you've ever used a Smokin' Stone, this is exactly like that, but made of solid steel. That means it isn't susceptible to heat stress, cracking, breaking, shock, or any of the other detriments of using stone. This diffuser also has a much better thermal diffusivity, which means your temperatures don't fluctuate nearly as much.